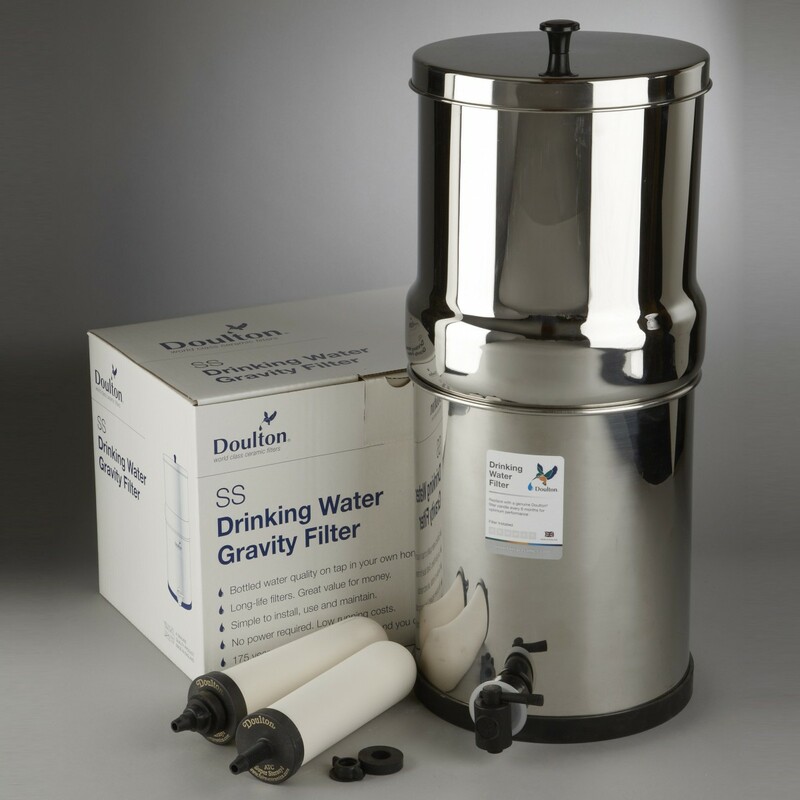 The Doulton W9361122 SS Gravity Filter System is made from polished stainless steel. The Stainless Steel Gravity System is portable and easy to keep hygienically clean. W9361122 Stainless Steel Filter System requires no power, as it uses gravity to filter the water. 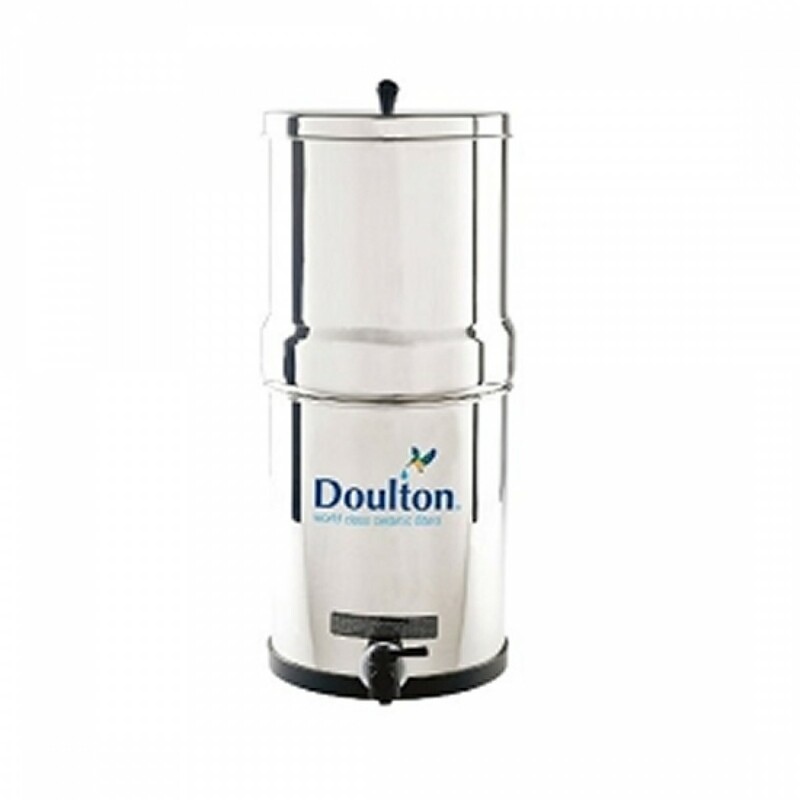 To use the Doulton W9361122 Filter System, simply pour water into the top reservoir. 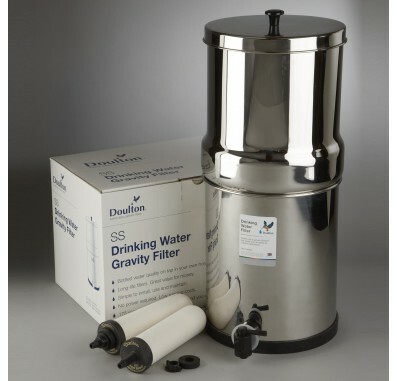 The Doulton SS Gravity Filter System uses 2 Super Sterasyl 7 Inch Filter Candles. The upper reservoir holds 2.11 (8 liters) gallons of untreated water. The lower reservoir holds 2.11 (8 liters) gallons of treated water.